This page provides a list of DDN activities concerning improvements or upgrades for downtown Decatur. 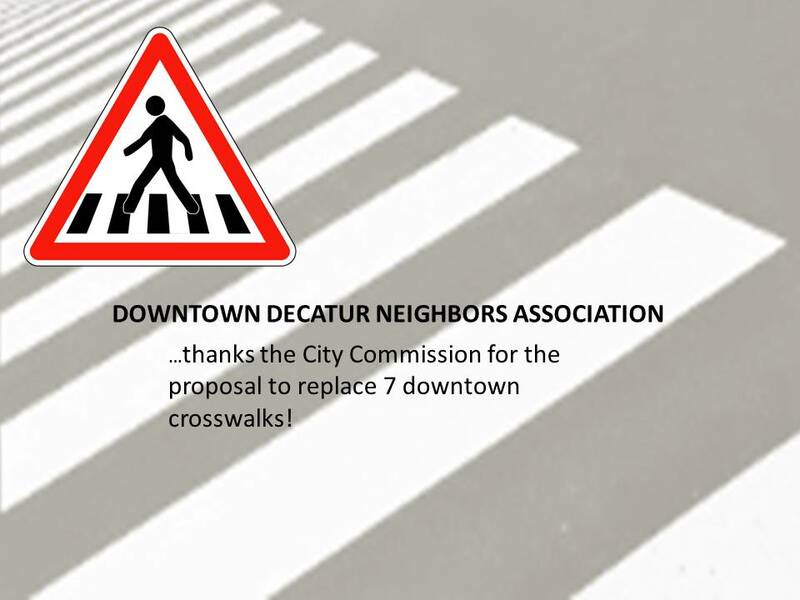 Downtown Decatur Neighbors Association thanks the City Commission for referring its request concerning the issue of crosswalk safety in the downtown area to Lena Stephens and the Public Works Department, and for their working with the downtown residents over the past several months on the matters raised in the request. We are encouraged to see the city moving forward with many of the items that we support, including the removal of two parking spaces to improve pedestrian and vehicle visibility at the East Ponce mid-block crosswalk. We look forward to the implementation of the projects included in tonight’s proposal, as well as to the opportunity to continue working with the City on these and other issues important to the residents of Downtown Decatur. Downtown Decatur Neighbors (DDN) requests support for a master plan for Downtown Decatur. Our request is simple. We are excited to be Decatur residents, to help fulfill the thirty-year vision of the Town Center Plan and to maintain our current quality of life, and improve it in the future, we have been asking for basic items like crosswalks improvements, safe sidewalks, tree preservation and more public spaces. A plan would provide the framework for identifying and making these much-needed quality of life improvements. A downtown plan will not happen unless we ask for it. Contact candidates and your elected officials asking that they support a plan for your downtown. Not sure what to write? Click here for a letter you can edit: Sample Letter for Downtown Plan. Act now while we still can make a difference! DDN Decatur Candidate Forum – Full House! 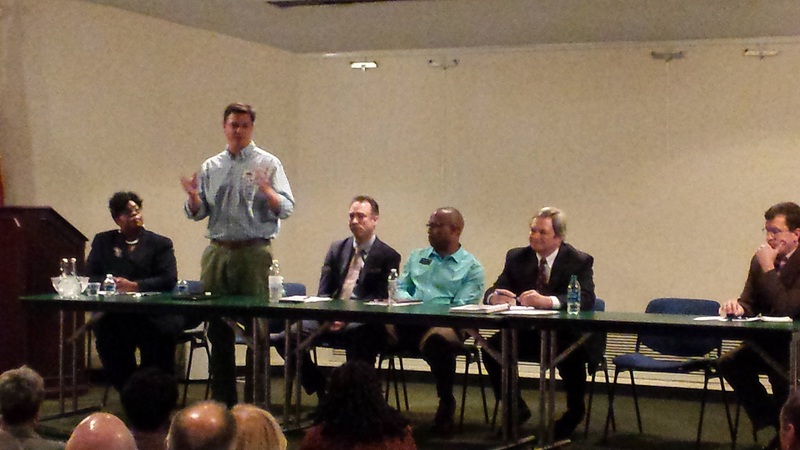 On behalf of the Downtown Decatur Neighbors, thanks to the candidates participating in last night’s forum. Glad that we had nearly a full house to hear a lively and insightful discussion. While we wish that we had more time (a note for two years from now), We thought that each candidate did a good job enumerating their priorities and conveying to the audience the type of Commissioner they would be. And thanks to all for equitably sharing the time that we had. Pictured :Decatur Commissioner Candidates : Valencia Breedlove; Scott Drake; James Johnson; Tony Powers, John Ridley; Brian Smith, Eric Tumperi. DDN to attend City Commission parks & programming working session on August 17, 2015. 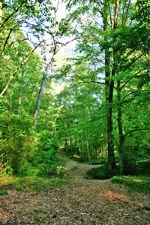 Decatur expanding from 4.2 to 4.41 square miles and the City of Atlanta adding more than 600 acres of parkland over the past year (that is almost six times the total parkland in Decatur – including the cemetery). Click here for recap of parkland stats & our thoughts concerning overall growth plans: City of Decatur Park Overview – July 2015. 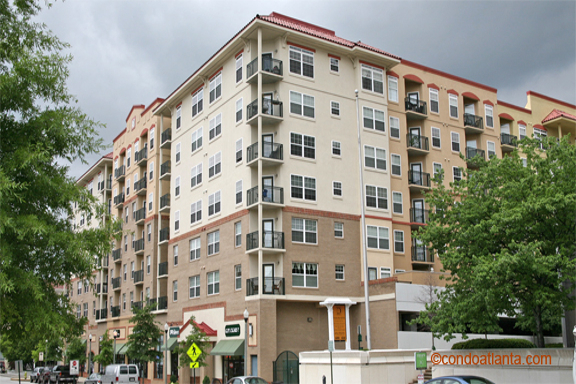 Decatur Growth. 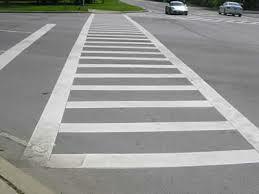 Downtown Decatur Neighbors request that the City reinstate the crosswalk that existed on Ponce de Leon Avenue between Fairview and Ponce Place. The formal request letter is attached. Downtown Decatur Neighbors share our perspective on the proposal to build a church on the parking deck abutting the Decatur Renaissance . According to Sgt. 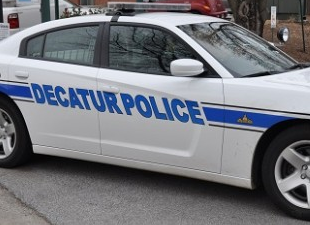 Jennifer Ross of the Decatur Police, in a busy week of arrests, in two cases, citizens saw something and immediately called the police to provide information that led to these arrests. Click here to read the full report. Several DDN members expressed concern over this “repurposing.” As a result, DDN began the process of obtaining detailed plans, attending hearings on the matter, and developing a position statement for member consideration. However, when we next contacted Amanda Thompson about the plans and the hearing, she indicated that the proposal for the juice bar had been withdrawn. Thank you to all DDN members for their interest and involvement in this matter.